Heller 7kg Front Load Dryer CD07ELEC. 8 program settings3 heat settingsElectronic controlsFront ventingStainless steel drumWall mountable includes wall bracket Pro-coated metal cabinetReverse tumbling actionAnti-crease featureEnd of cycle alarmCan be mounted upside downChild key lock1.5 stars energy rating. 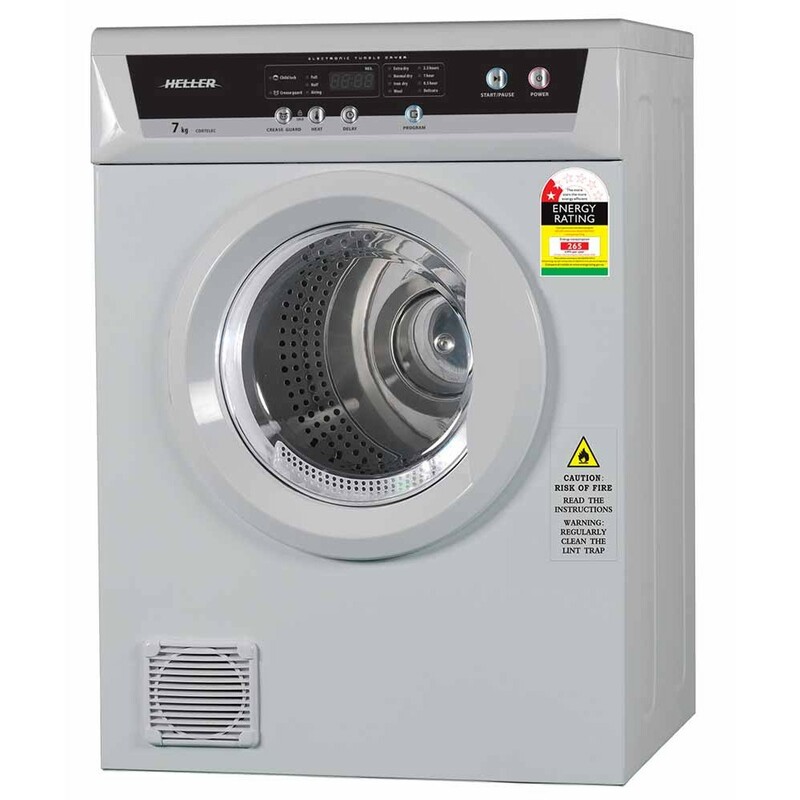 The Heller CD07ELEC Dryer was added to the Dryers category in December 2017. The lowest price GetPrice has found for the Heller CD07ELEC Dryer in Australia is $415.00 from Billy Guyatts. Other merchants who stock it are Billy Guyatts.